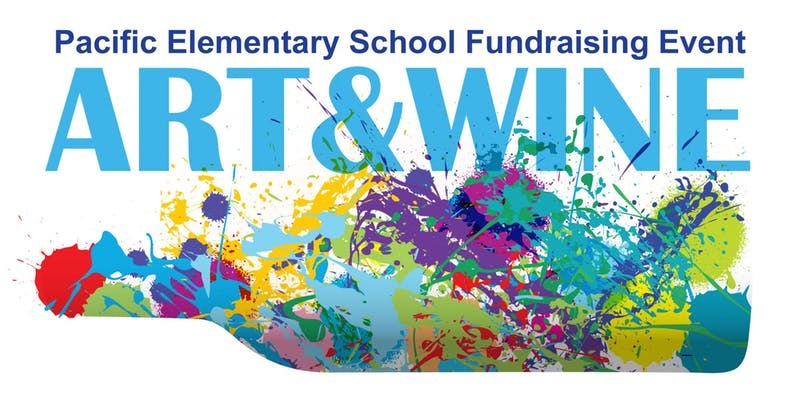 Thank you to everyone who supported Pacific Elementary School's 2019 Art & Wine event. We made $7,800 at our amazing night of art, wine, food, and laughter! A special thanks to Bonny Doon Vineyard for donating their tasting room for the event. Thank you to all of the artists who donated art: Noel Bock, Shea Ohlett, Tesa Hope Hasty, Bud Bogle, Sharon Smith, Walker Hum, Eric Mitchell, Lundberg Studios, Heidi Anderson Flores, Jasper Marino, Cash Designs, Sam Clarkson, Tammy Meck, Fish Princess, Enzo Arials, Marta Allonzo Canilar, Erika Perloff, and Carol Sweetzer Elsworthy. Thank you to all of the wineries who donated wine and wine tastings: Tom Brooks Winery, McHenry Vinyard, Byington Vinyard, Beauregard Vinyards, Big Basin Vineyards, Alfaro Family Vinyards, Kissed by an Angel Wines, Santa Cruz Mountains Wine Growers Association, and Armitage Wines. Thank you to the DisneyLand Corporation, Artisan’s Gallery, and Gabriella Cafe for donating gift certificates. ​Thank you to Emelia Miguel, Violy Law, and all of the Food Lab students for making the amazing food. Thank you to Stephanie Hudson who made the flower arrangements. Thank you to Martin Quigley, who let us pick flowers at the UCSC arboretum. Thank you to Cecile D’Amore, Sarah Wise, Caitlin Phillips, Savannah Olivas, Sam Rosasco, Josephina Guillen, John Fisher, and Monica Hettenhausen for getting art & wine donations. Thank you for the lovely music by Jim Lewin and to Lori Postie for organizing the music. Thank you to John Fisher for setting up the ticket sales. Thank you to the Jen Bird, Jennifer Tschirky, Monica Hettenhausen, Theresa Cicchinelli, Kara Nickel and their students who organized and made crafts for the event. Thank you to Violy Law, Amir, Lyla, Michelle and Tiana for caring for our children at the event. Thank you to the parent volunteers at the event: Lynne Martinez, Michelle Collins, Melissa Wedlock, Jen Bird, and Amy Glogovac. Thank you to Molly, Hillary, and Elizabeth for office logistics. Thank you to everyone who helped make this event such a success!